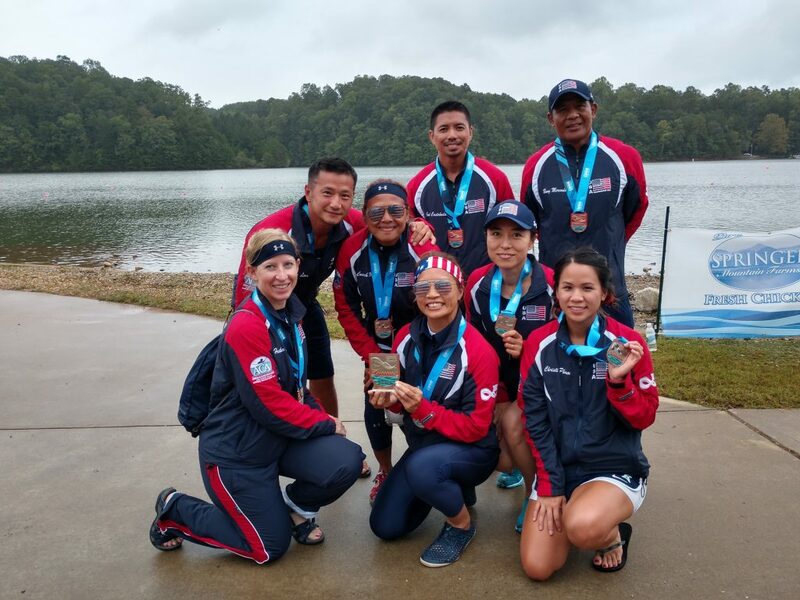 The 2018 ICF Dragon Boat World Championships were held at Lake Lanier, GA—the same location where the U.S. held the 1996 Olympics for rowing, canoe, and kayak events. The event was held from September 13—16, 2018. Over the 4 days, Team USA paddled fiercely and racked up medals in different divisions. The final medal count for Team USA was 15 Golds, 13 Silvers, and 8 Bronzes. Team USA also won the Nations Cup by having the highest medal count. Each of these paddlers have dedicated a lot of their time, training to be on Team USA. Their hard work and dedication paid off when they all took home some hardware and even spent some time on top of the podium with the flag flying high, singing the national anthem. Mike Nguyen from our team was also part of Team USA as a volunteer MacGyver and photographer. Our Houston Heat’s head coach, Jeff Gee, also traveled to the race venue from Houston to cheer on the Heaters and Team USA Paddlers. The next ICF Dragon Boat World Championship will be held in 2020, in India. If you want to train to be a part of Team USA, the training needs to start now! Each individual plays a small part in the making of a great team. When everyone on the team gets stronger, the boat gets stronger!